The Investigations Division consists of several investigative units whose primary responsibility is to provide comprehensive follow up on crimes committed against persons and property , or narcotics related offenses, occurring within the City of Rocklin. The division is comprised of detectives assigned to the Placer County Special Investigations Unit (SIU), the Regional Auto Theft Task Force (RATTF), and the Rocklin Police Department. 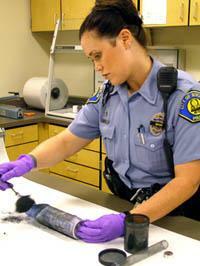 The division is supported by a dedicated Crime Scene Investigator (CSI) and several Crime Scene Specialists (CSS).